With the Holidays just around the corner, now is a better time than ever to impress that special, tech-savvy someone in your life with a cool, new smartphone they’ll use all year round. In fact, Telus guarantees that they won’t be able to put it down! TELUS is delighted to offer an awesome array of stand-out smartphones this holiday season, all running on their blazing fast LTE network that now covers more than 65% of the Canadian population! Adding more cheer to the holidays, all of TELUS’ devices are available to new and renewing customers without any of those dreaded activation fees and they can sign up for one of their flexible, new unlimited talk, text and family data sharing plans that provides peace of mind and more money in your back pocket. I can’t possibly say enough about TELUS. They have contributed to many causes this year such as We Day. We must not forget about the TELUS Critter where sales of this cutie goes to support local grassroots organizations, making a positive impact on their communities. This year, TELUS came out in a BIG way on social media where they supported bloggers and social media influencers by engaging and allowing them to become part of their TELUS family in a BIG way. I feel blessed that I was one of them. Smartphones…they are all the rave now a days and I’m so excited about this giveaway!! 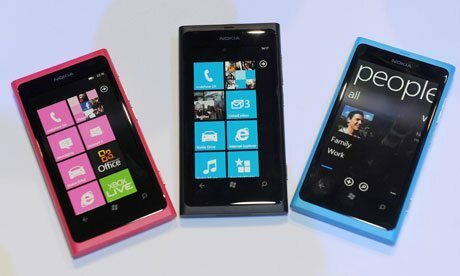 TELUS and Life’s a Blog are excited to giveaway a Nokia Lumia 800 Windows phone to one of my Canadian readers. The giveaway will end on December 24th at 12:00 am. Winner will be notified directly via email. Previous Previous post: I’ve lost my Blogging mojo. Has this ever happened to you?